Here are some things to consider when it comes to picking the right phone tech for yourself. From which phone you might want to get to what accessories you are likely to want to get with it. 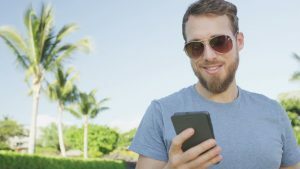 If you just need a cell phone to stay in touch with people, or for emergencies, you can get away with a cheap phone and a cheap plan that doesn’t require any data usage. Many seniors stick with this type of phone, and you can get them with large print as well. Most of them come with great plans, and there are many options for companies to go through for your phone. Even if you’re the smartphone type, you may want to have one of these lesser phones on hand. They are great to keep in your vehicle glovebox, charged, in case of an emergency. They can reach 9-1-1 without being in service. If you want more tech for your money and plan to spend much of your phone time messing around on Facebook or taking pictures to post on Instagram, you will definitely want to invest in a smartphone. However, not all smartphones are created equal, so it does good to have a smartphone buying guide. If you plan to take a lot of photos and video with your phone, you will want to make sure that you have one with a good camera, and with a lot of memory. You also want a phone with a good deal of memory if you are going to be using apps on it. The more apps you load the fuller your phone memory will get, and with an inferior phone, the slower your phone will run. When it comes to owning a basic cell phone there aren’t many accessories you’ll need. You want a home charger of course, and a car charger if you have a vehicle. You may want some sort of case for it to attach to your belt for ease in carrying as well. With a smartphone, accessories are more important. Not only do you have your pick in chargers, but you also need a protective case for it, a screen protector, maybe even a stylus to use for typing on it, and you might even want to invest in some nifty camera accessories that can make your phone work like a real camera.